to MAUERPARK! We are a café in the Castro District of San Francisco. Named after the park in Berlin, Germany that was once the militarized land between the parallel barriers of the Berlin Wall (or "mauer") that divided East and West. After the fall of the wall in 1989 what was once known as the “death strip” has been reclaimed by the community who has turned it into a park for families, weekly flea markets, outdoor karaoke, and even improvised nightlife events. Born in 1989 to German immigrants in the Bay Area, the fall of the Wall has always had a special significance for me. In particular, I am still struck by the similar roles Berlin and San Francisco play in their respective nations; places where connections are made, walls come down, and love wins. 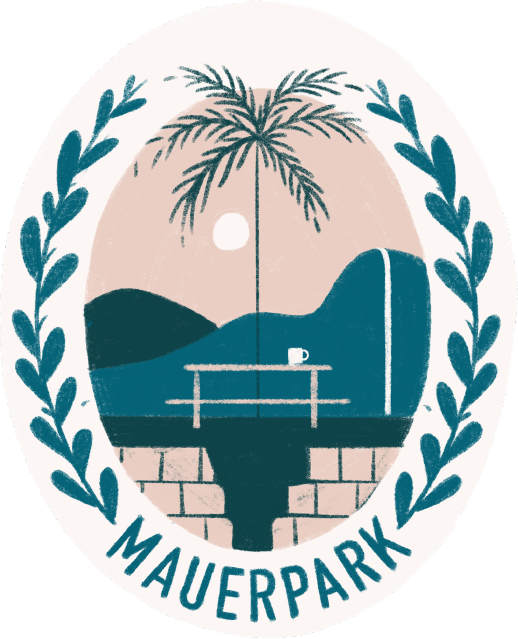 Hopefully we at MAUERPARK can do our part by bringing people together, whether it’s over a cup of coffee, a local musician’s performance, an art opening, a wine tasting, or by hosting a community event. Our mission is to serve and build our community: whoever you are, wherever you’re from, whoever you love, we are excited and honored to serve and welcome you here!